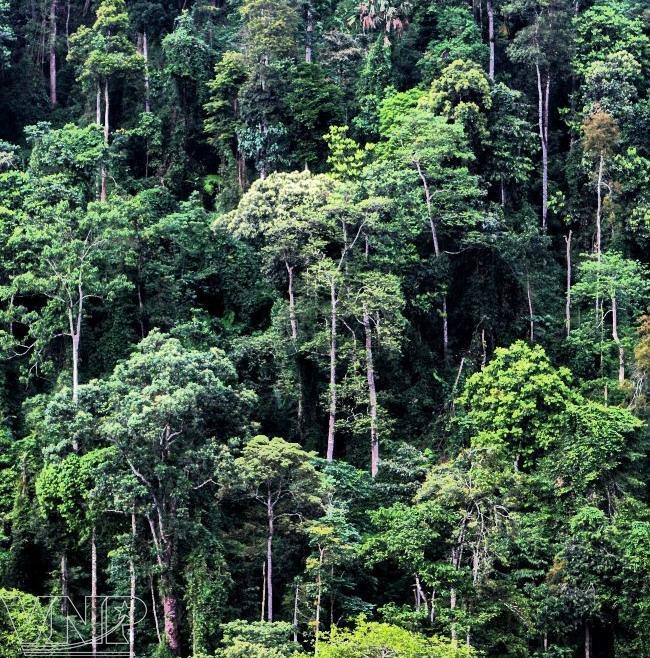 Being a nature reserve which is covered by tropical forests. This is also living place of the Muong and Thai ethnic people. Its name “Pu Luong” originates in Thai language, means the highest peak of the village. 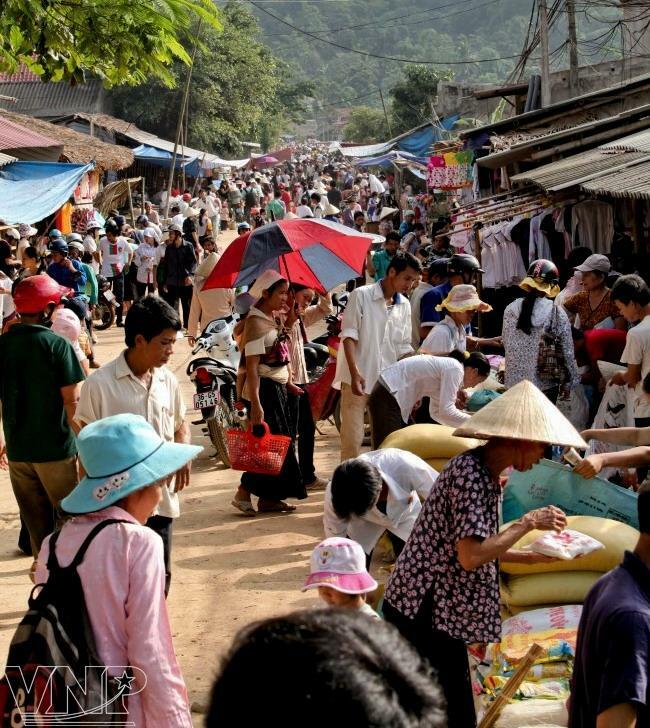 Pu Luong becomes recently a great destination for a few day trips near Ha Noi. Similar to the beauty of Moc Chau or Mai Chau Highlands, but it has own specialities. 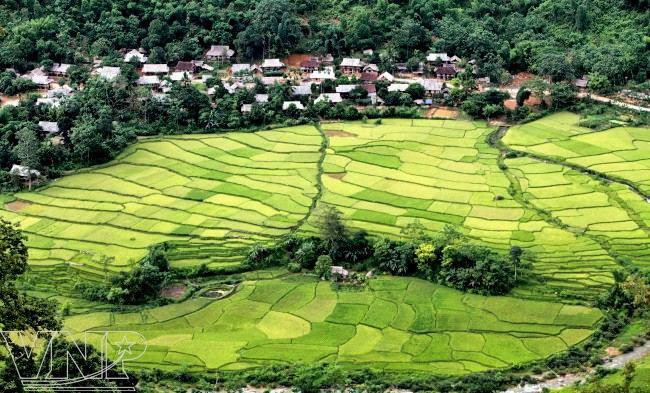 It is considered as a “Sapa of Thanh Hoa” because of similarities of culture, climate and lifestyle of local people. 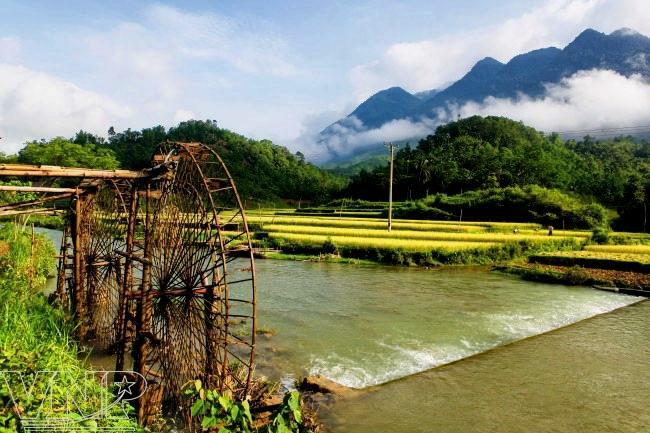 Located in Thanh Hóa Province, about 3 hours southwest of Hanoi, Pù Luông Nature Reserve would live up to most people’s image of an idyllic Vietnamese landscape and rural life. Jagged limestone mountains enclose a fertile river valley, dotted with small settlements of wooden houses on stilts. Luminous-green rice fields extend from the waters’ edge to the thickly-forested slopes, which are streaked with waterfalls. 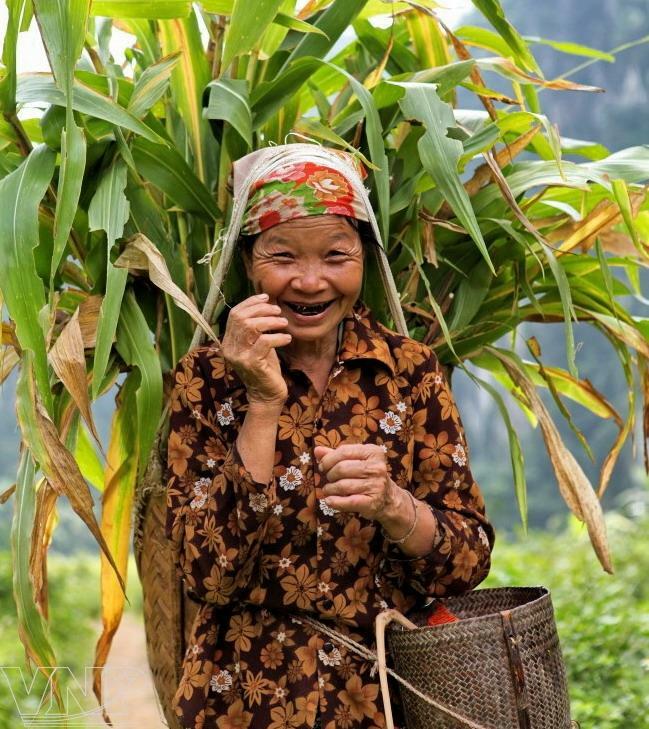 Women in conical hats tend the fields, men herd buffalo and goats from one pasture to another, and children play with domestic animals in earthy courtyards, or take turns jumping from bamboo bridges into rivers. It appears – to the casual visitor, at least – to be a landscape where nature is entirely benevolent; a land so fertile that it sustains each household throughout the year. If you can imagine how an animated Disney movie set in rural Vietnam might look, then you get the idea – kind of like a Vietnamese Shangri-La. 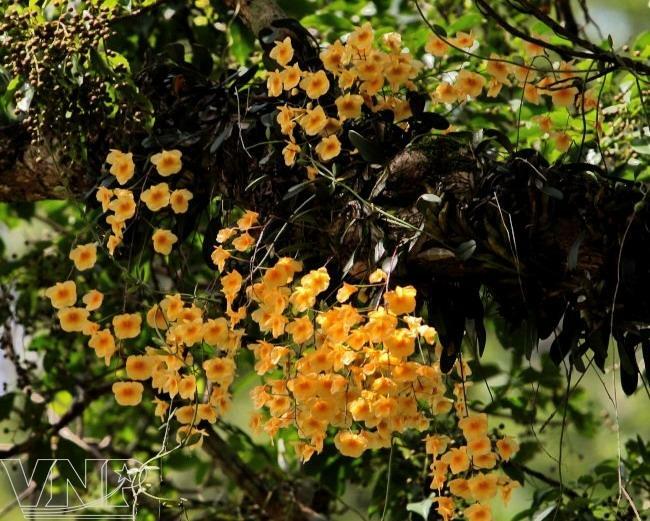 According to the statistics of Pu Luong Nature Reserve’s Management Board, the reserve has 1,109 species of vascular plants, under 447 branches and 152 families. There are 42 special-use varieties of plants of Vietnam and four species listed in the World’s Red Book. 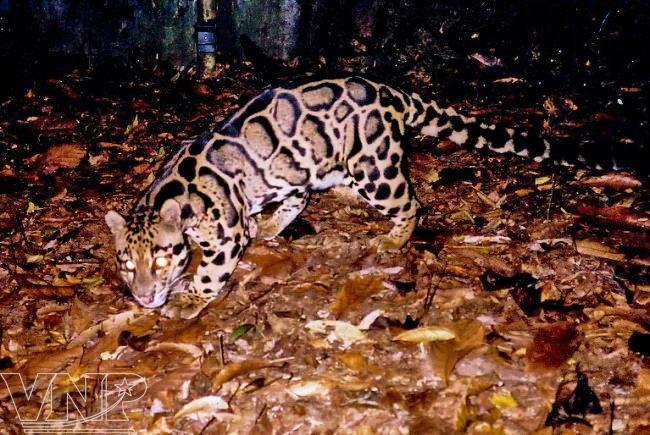 Jaguar and Loris in the Pu Luong Natural Reserve. Pu Luong is also the habitat of nearly 600 species of animals, birds and reptiles with 51 precious and special-use species listed in the red books of Vietnam and the world, including 26 species of animals, 5 species of bat, 9 species of birds, 5 species of fresh water fish and 6 species of reptiles. 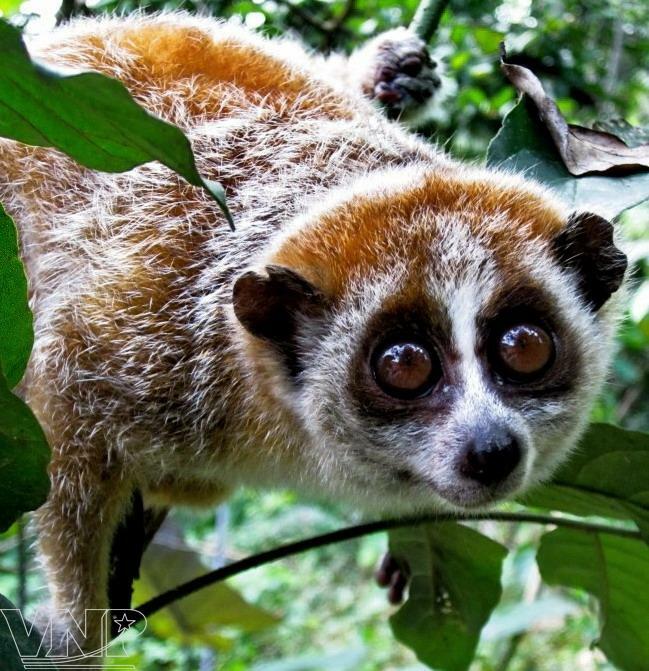 Furthermore, it is the place where there is the second largest population of Vooc mong trang (Trachypithecus delacouri) in Vietnam with 31-38 individuals, after Van Long Nature Reserve in Ninh Binh Province. Running through Pu Luong Nature Reserve is Road 15C so visitors can arrive in the reserve from two directions, one from Lac Village in Mai Chau, Hoa Binh to Highway 47 and then Road 15C at Co Luong crossroad or from the Ho Chi Minh Trail and turning right at Cam Thuy Town, Thanh Hoa Province to arrive in Road 15C at Canh Nang Town. In Pu luong, tourists have different choices for their tours, such as discovering the beauty of the natural landscape, ecological forests with plentiful fauna and flora or learning the simple and interesting customs and habits of the Thai and Muong people. 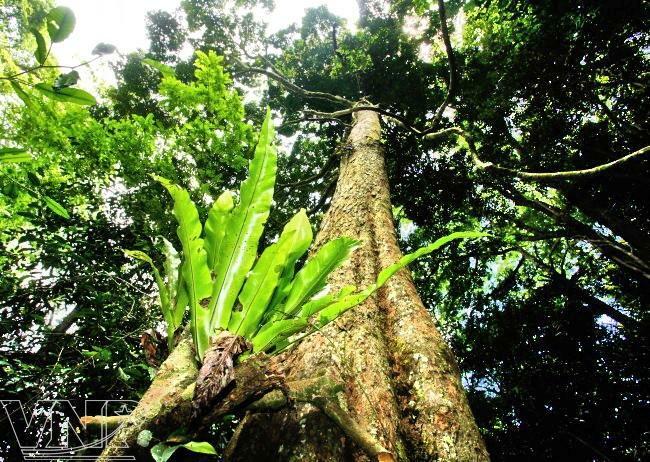 The thick canopy in Pu Luong Forest creates favorable conditions for the development of the flora. 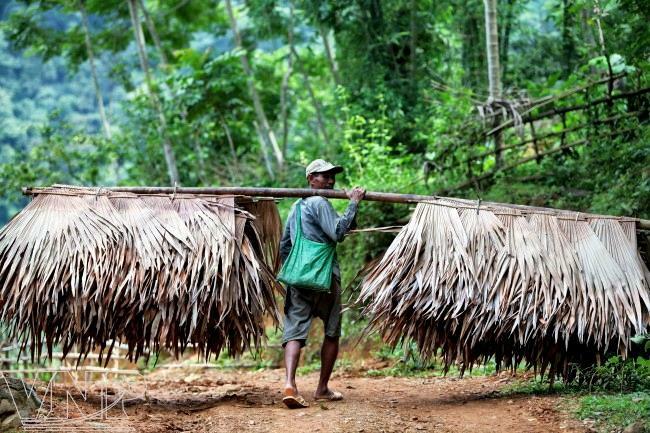 To preserve the biological diversity, local people only take dry products from the forest for their livelihood. A Thai woman in Hieu Hamlet. 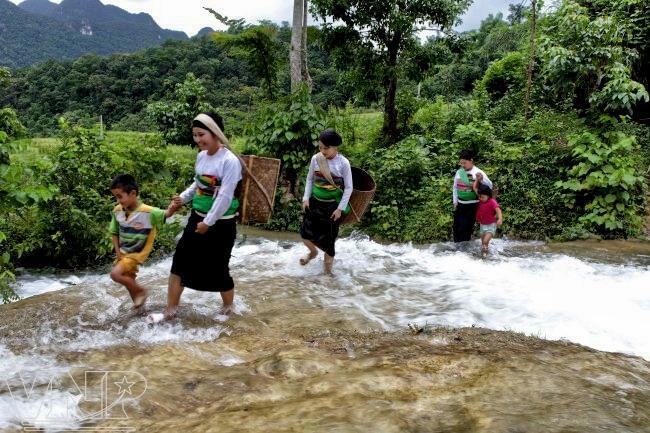 The Thai people use water wheels to send water to the terraced fields.